A day after slain Israeli teens Gil-ad Shaar, Naftali Fraenkel and Eyal Yifrach were laid to rest, Jewish-Arab tensions flared Wednesday with the discovery of the body of Muhammed Abu Khdeir, 16, in the Jerusalem Forest. While police have yet to identify a motive for the killing, condemnations from the international community and domestically poured in, amid riots in the East Jerusalem neighborhood of Shuafat and pleas for calm. In central Jerusalem, a pro-tolerance rally drew hundreds attempting to undo the damage of an anti-Arab rally in the same area a night earlier. 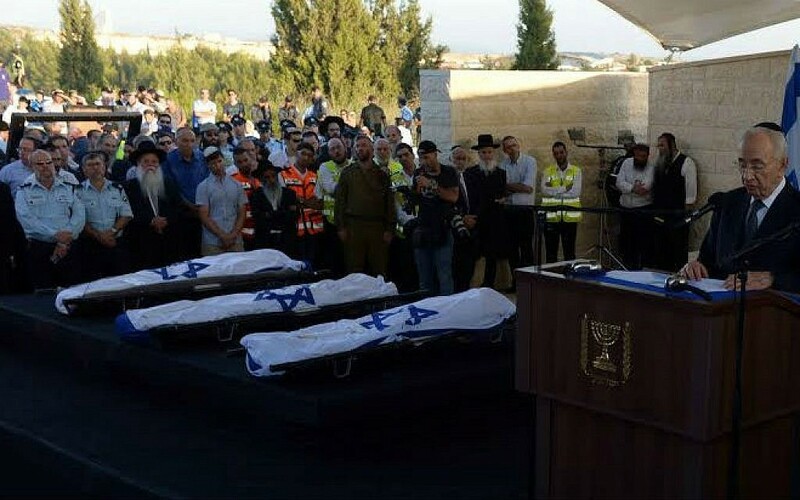 The government cabinet met for a third straight night Wednesday to decide on a response to the triple murder of the Israeli teens, even as over 20 rockets were shot at southern Israel. The Times of Israel live-blogged the day’s developments. Riots erupt between residents of East Jerusalem and Israeli security forces after the body of a 15-year-old youth is found in the Jerusalem Forest, bearing signs of violence. Three improvised explosives devices are thrown at police near Shuafat, on the tracks of the capital’s light rail. One of them explodes, while the others are defused by sappers. 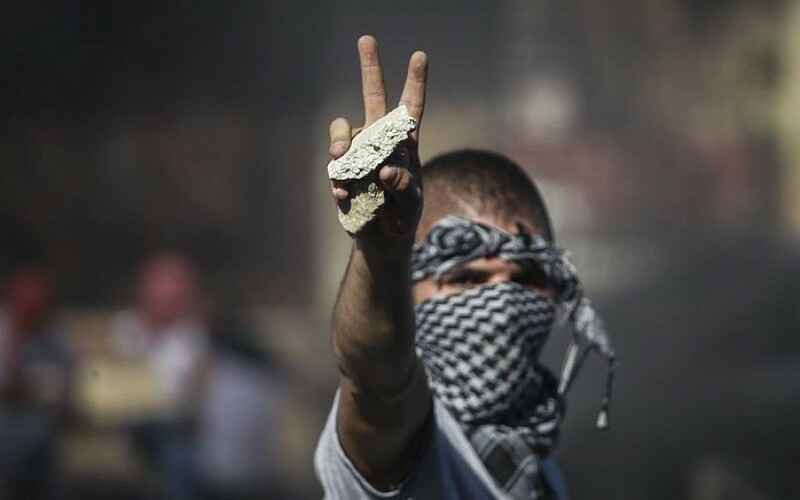 Meanwhile, a mob hurls rocks and other objects at the police forces within the Beit Hanina neighborhood. One local man is evacuated to the hospital for treatment. 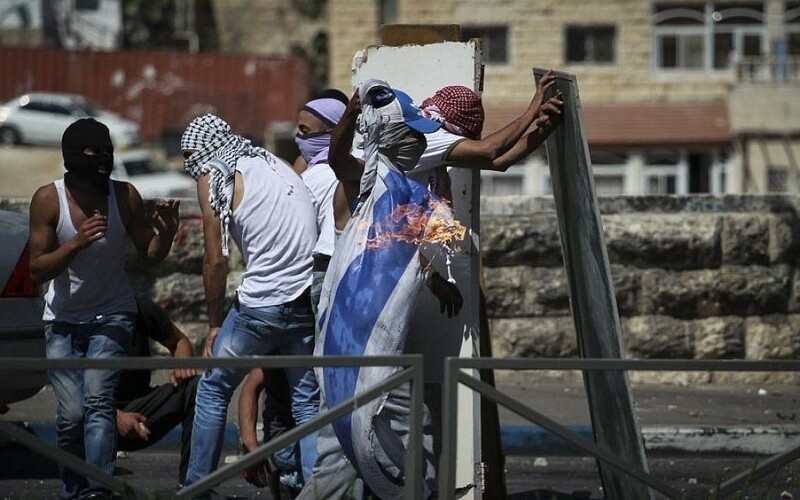 The clashes come a day after three slain Jewish teens were brought to rest in Modiin. After the funeral, an enraged mob ripped through downtown Jerusalem. Over 40 were arrested for attacking Arabs. 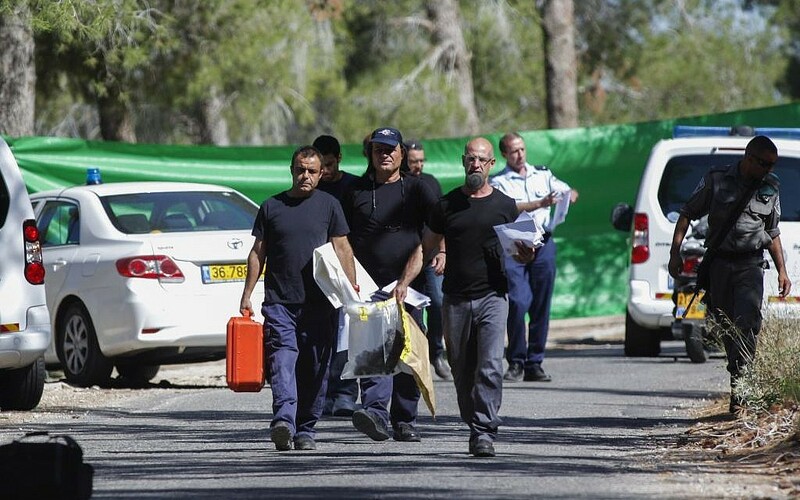 Meanwhile, the IDF on Wednesday morning presses on with its search for Marwan Kawasme, 29, and Amar Abu Aysha, 32, who officials suspect kidnapped and killed Eyal Yifrach, Naftali Fraenkel, and Gil-ad Shaar on June 12. 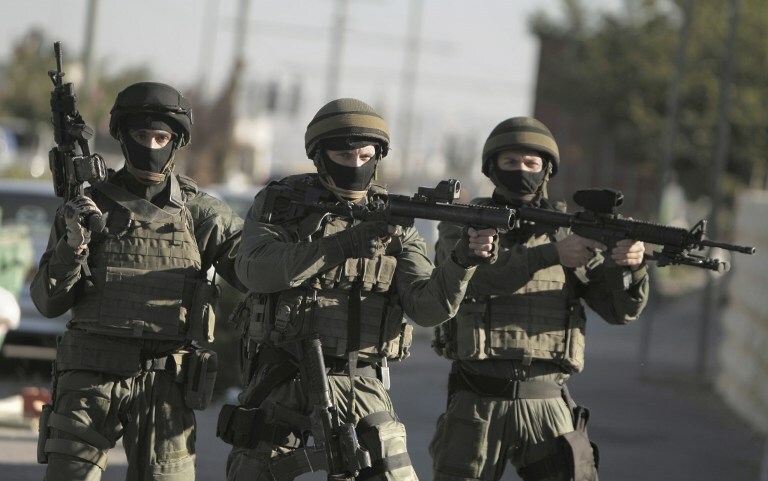 The military arrested 39 more West Bank Palestinians overnight, Ma’an news agency reported. The security cabinet convened Tuesday evening to discuss the nature of Israel’s response to the murders, but there were no immediate reports of the conclusion of the meeting. Four days into the month-long Muslim fast of Ramadan, Israeli security forces close off the Temple Mount for fear of clashes between worshipers and police. The decision to close off the site is made after masked rioters hurl rocks at police forces in the Temple Mount compound. Palestinians report a case of racist vandalism in Aqraba, a Palestinian town located near Nablus and the Israeli settlement of Itamar. 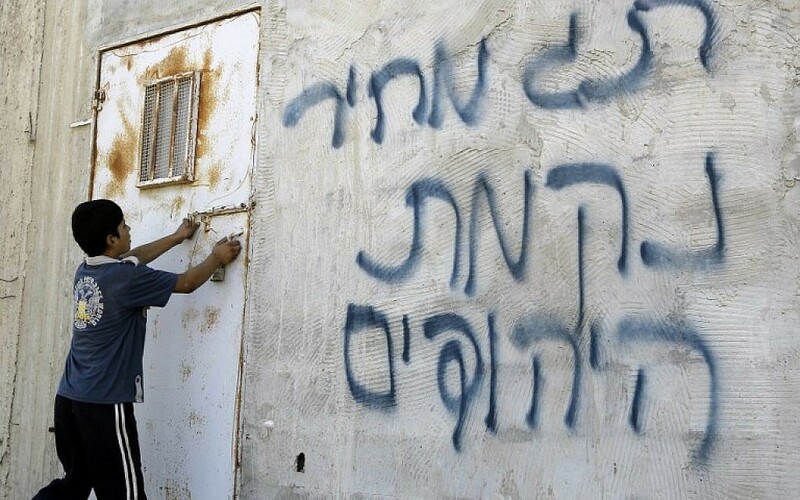 Locals say the phrase “price tag, Jewish revenge” was sprayed this morning on a wall in the town, and a storehouse containing food for sheep and goats was burned down. Jerusalem police chief Yossi Parienti says police are still investigating the death of an East Jerusalem resident whose body was found in the Jerusalem Forest earlier today. “We have to act responsibly now,” he says. Police identify the East Jerusalem youth who was found dead in the Jerusalem Forest earlier today as Muhammad Hussein Abu Khdeir, aged 16. While boosting the police forces deployed to East Jerusalem, where riots are currently taking place, Public Security Minister Yitzhak Aharonovich gives a statement urging both Jews and Arabs to exercise restraint and patience as they await the results of an investigation into the death of 16-year-old East Jerusalem resident Muhammad Hussein Abu Khdeir. Aharonovich says security forces have been investigating Abu Khdeir’s death since this morning, looking into suspicions that the teen may have been kidnapped before being killed. Promising that police will do “everything in their power” to investigate the death, he calls on both communities to refrain from incitement and talk of vengeance. “If an Arab youth was indeed murdered for nationalistic reasons, this is a heinous and shocking act,” he says. 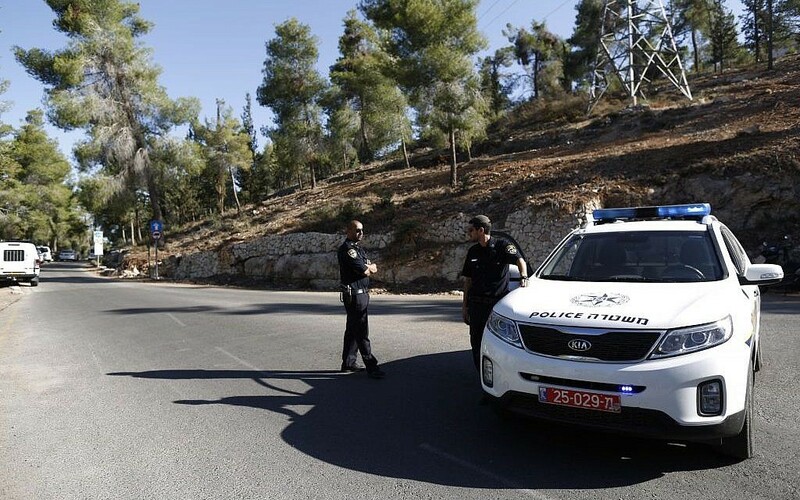 The uncle of Muhammad Hussein Abu Khdeir, the 16-year-old who was found dead in the Jerusalem Forest earlier this morning, tells The Times of Israel that witnesses saw Abu Khdeir being forced into a car, a gray Hyundai, and were able to identify the kidnappers as Jews. The uncle, Mahmoud, says that when the the teen was taken, at 4 a.m., there were plenty of bystanders around who witnessed the event and even tried to chase after the car in which he was driven away from his East Jerusalem neighborhood. Mahmoud says that there is “no doubt in his mind” that his nephew was kidnapped and murdered in retribution for the killing of three Israeli teens in the West Bank. He says that the kidnapping was reported to the police immediately, and that the Hyundai and the kidnappers within could have been located quickly had the police responded right away. He adds that video footage documenting the kidnapping has been sent to the police, and according to Army Radio, said that the same gray Hyundai was spotted in the area yesterday and that its passengers had tried to kidnap a child. Palestinian sources say 12 Arabs, among them three journalists, were injured this morning during clashes in East Jerusalem between police and local residents protesting the killing of 16-year-old Muhammad Hussein Abu Khdeir. The Ma’an news agency reports that in the Shuafat neighborhood, police fired rubber bullets and tear gas at protesters, wounding Palestine TV reporter Kristine Rinawi and cameramen Ali Yasin and Ahmad Gharabla. Police spokesman Micky Rosenfeld tweets that additional police units have been deployed to East Jerusalem to quell disturbances and riots in the Beit Hanina area. Rosenfeld also notes that several light rail stations have been damaged in the riots. Extra police units deployed in Jerusalem to deal with disturbances in the Bet Hanina area. Damage caused to light rial station by rioters. According to Israel Radio, three stations have been defaced so far. Light rail services are currently not operating in the eastern part of the capital, as rioters burn tires and clash with security forces in the area. Prime Minister Benjamin Netanyahu speaks with Public Security Minister Yitzhak Aharonovitch, asking that the police expedite the investigation into the “abominable murder” of the Arab teenager who was killed overnight in Jerusalem. Netanyahu calls on all sides not to take the law into their own hands. “Israel is a state of law and everyone needs conduct themselves according to the law,” he says. Palestinian Authority President Mahmoud Abbas demands that Israel condemn the killing of an East Jerusalem teenager in a suspected revenge attack for the killing of three Israeli youths. Abbas “demanded that Israeli Prime Minister Benjamin Netanyahu condemn the kidnapping and murder of Palestinian teenager Mohammed Abu Khdeir as we condemned the kidnapping of the three Israelis,” a presidential statement says. The demand comes as Netanyahu issues a condemnation of the “abominable murder” while calling on police to find the perpetrators. Hamas political leader Khaled Mashaal denies that the organization is responsible for killing the three Israeli youths in the West Bank. Sky News in Arabic quotes Mashaal as saying that Hamas is not interested in an escalation and is committed to a truce with Israel. 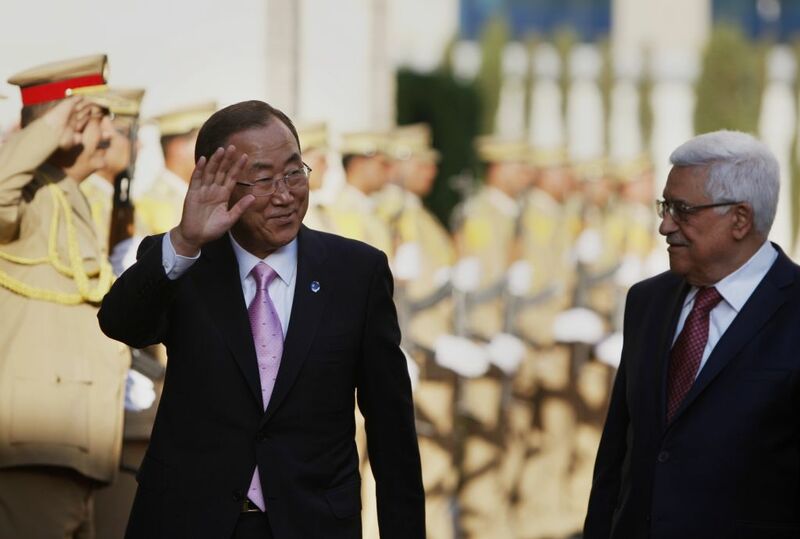 He also asks Turkish Prime Minister Recep Tayyip Erdogan to prevent a possible Israeli attack on the Gaza Strip. Hebron municipal workers are clearing the debris left behind by IDF forces in the home of Marwan Kawasme, one of the two Palestinians suspected of kidnapping and killing the three Israeli students. The workers are working to clear the part of the family home that was bombed during an IDF search of the house two days ago. 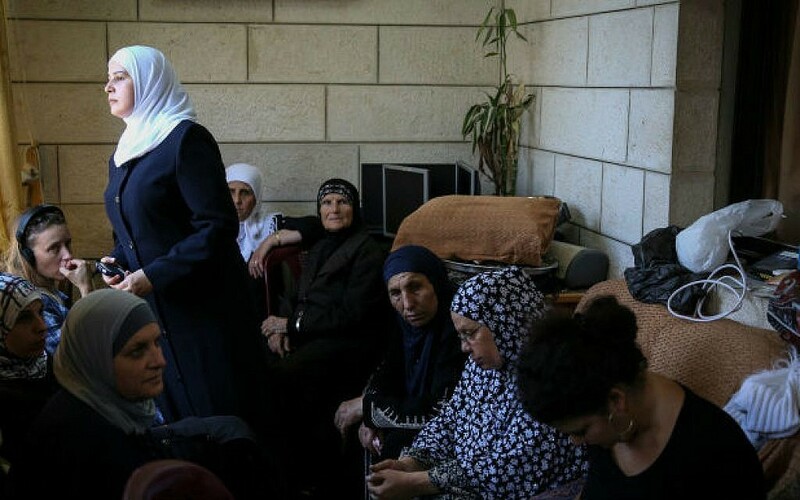 This afternoon, the mother of Amer Abu Aysha, Kawasme’s suspected accomplice, tells Walla that her son hasn’t contacted her since the day of the kidnapping. She says that he left his mobile phone at home, but that it was confiscated by Israeli intelligence forces. Earlier today, the Abu Aysha family’s car was taken from their home, which was also damaged during an IDF search operation two days ago. The IDF troops who located the bodies of Gil-ad Shaar, Naftali Fraenkel and Eyal Yifrach in Halhul, north of Hebron, have left the site. Locals tell The Times of Israel that Israeli security forces only began to search the area one day before the bodies were found, adding that the land belongs to the family of one of the suspected killers, Marwan Kawasme. Meanwhile, military forces continue their search for Kawasme and his suspected accomplice, Amer Abu Aysha. Justice Minister Tzipi Livni says she hopes the death of the Palestinian youth whose body was found in the Jerusalem Forest this morning was “not an act of vengeance,” adding that the circumstances of his death are still unclear. She posts on her Facebook page that despite mounting reports of “price tag” attacks and hatred, Israel is still “a lawful state and not a terrorist society.” She vows that the “murderers” of the Israeli teens will be “found and brought to justice” through its legal mechanisms. “Israel is a lawful state that knows how to strike its enemies without mercy,” she says. After Prime Minister Benjamin Netanyahu heeds Palestinian Authority President Mahmoud Abbas’s call to condemn the killing of Muhammad Hussein Abu Khdeir, Abbas spokesman Nabil Abu Rudeina issues a separate statement explicitly blaming the 16-year-old’s death on Israel. “Israel is fully responsible for the killing of the teenager and we demand that the perpetrators be found and held accountable,” he says. Israeli photojournalist Tali Mayer sustains moderate injuries after getting hit in the face by a rubber bullet while on assignment to document the ongoing clashes between Israeli security forces and rioters in East Jerusalem. Mayer is hurt in the jaw while photographing the riots in the Beit Hanina and Shuafat areas of the capital. She is taken to Hadassah Medical Center on Mount Scopus. A day after eulogizing her slain son, Bat-Galim Shaar, the mother of Gil-ad Shaar, accuses Israeli security of a “major screw-up” in handling the kidnapping of Gil-ad and the two other students. Shaar says she and her husband thought they were “in good hands” when they heard the IDF had taken over the search efforts at 6 a.m. on the morning after the kidnapping, but were shocked to realize that they were searching for the boys in Beit Shemesh when the signal of one of their phones had already been traced to the southern West Bank at 4 a.m.
“I told the defense minister and the head of the Shin Bet — we know there was a major screw-up at the beginning, but I don’t want to deal with screw-ups now. I only want to know that you are doing everything you can to bring my son back. After they find Gil-ad, then I’ll let you have it,” she recalls in an interview with Channel 10. She also criticizes the authorities for their response to the emergency call made by one of the teens, a recording of which was released yesterday. She says that when the recording was first played to the parents of the kidnapped youths, the authorities explained that the shots heard ringing out at the end of the recording were blank shots, leading the parents to believe that their sons were alive. They also told them no blood or DNA remnants had been found in the burned car used to kidnap the three. 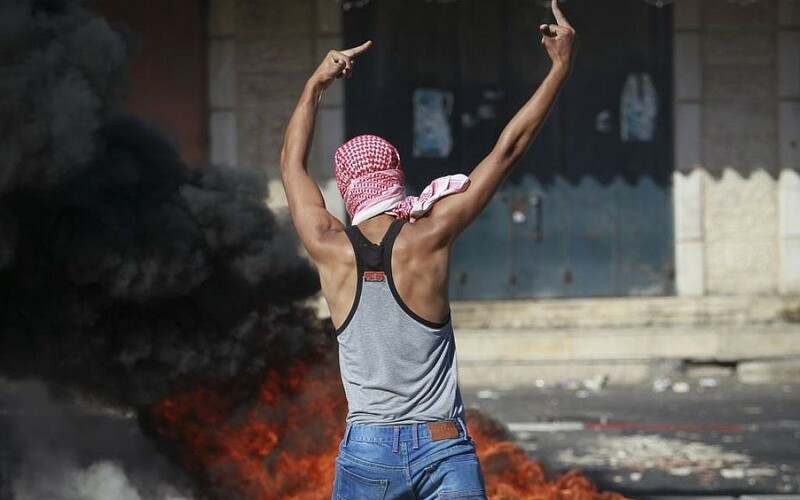 Rioters hurl stones, Molotov cocktails, and a pipe bomb — which did not explode — at security forces in Beit Hanina as protests against the death of the Arab teen continue, the Ynet news website reports. Police respond with riot dispersal methods. The area has been sealed off, and police ask residents to steer clear. The full recording of the call made by one of the kidnapped youths to the emergency police hotline is released, less than a day after police lifted the gag order on a 49-second clip from it. In the full recording, the kidnappers can be heard singing in Arabic and whooping after what are presumably shots ring out in the car. The operator tries to interact with the caller, said to have been Gil-ad Shaar, but receives no answer. Seconds later, several loud noises, which might be gunshots, are heard. Someone in the car is heard groaning. The shorter recording ends with the sound of a Hebrew radio interview blaring in the car. In the full recording, which is over two minutes long, the sound of the radio is interrupted by a voice on the phone — a different operator, this time a policewoman, who asks the caller where he is. However, this operator, too, receives no answer. Instead, more loud noises — presumably gunshots — are heard. When the noises die down, one of the kidnappers shouts “Three!” in Arabic. He and his accomplice can then be heard singing happily in Arabic and whooping, before the recording ends. Robert Serry, UN special envoy to the Middle East, “strongly condemns” the death of 16-year-old Muhammad Hussein Abu Khdeir. “I recall the Secretary-General’s message: there can be no justification for the deliberate killing of civilians – any civilians. The perpetrators of such heinous acts must be brought to justice. I repeat my call on all sides to do everything they can not to further exacerbate an already tense atmosphere. Our thoughts are with the bereaved family,” he writes in a statement. The UK Jewish community plans to hold a candlelight vigil this evening outside the Israeli embassy in London to show solidarity with the families of Gilad Shaar, Eyal Yifrach and Naftali Fraenkel. The vigil will also be attended by representatives of the embassy and communal organizations, including the Board of Deputies of British Jews, the Jewish Leadership Council, United Jewish Israel Appeal, the Zionist Federation, We Believe in Israel and the Union of Jewish Students. UK Chief Rabbi Ephraim Mirvis and Senior Rabbi to the Movement for Reform Judaism Laura Janner Klausner are slated to speak at the gathering. In other news, a spokesman the Board of Deputies of British Jews “unequivocally” condemns the “deplorable” killing of Mohammad Abu Khdeir. Three mortars fired from Gaza hit the Eshkol regional council in southern Israel. This brings the total number of rockets fired since midnight to five. Israel’s envoy to the UN in Geneva, Eviatar Manor, sends a letter to the UN High Commissioner for Human Rights Navi Pillay blasting her “unfortunate and insensitive” response to the deaths of the three Israeli youths in the West Bank. Manor says that in “condensing” her condolence into three lines, Pillay chose to “abuse the opportunity by opting for a political balancing act” rather than respecting the victims and their families. “The right to life is the most fundamental human right. Its denial, by terrorist groups, should be condemned in the clearest and most unequivocal manner. In this task, the High Commissioner for Human Rights has completely failed,” he says. Prime Minister Benjamin Netanyahu will convene his security cabinet again tonight at 7:00 p.m. at the Defense Ministry headquarters in Tel Aviv to discuss Israel’s response to the abduction and killing of the three Israeli teenagers. The cabinet has met twice so far, on Monday and Tuesday evenings, without arriving at any concrete decisions. Bat-Galim Shaar, the mother of the late Gil-ad Shaar, tells Channel 2 that since the bodies were found they’ve received no updates on the investigation and the ongoing hunt for the killers from the IDF and the Shin Bet. The information that it was a civilian search team that found the teenagers reached her via media reports, she says. “I think that’s it [only] right that after they told us about finding the bodies, they would come update us personally and directly on the findings, and the way the bodies were discovered, their condition, and the clues yielded from the site that could perhaps teach us more about what happened to the boys in the last minutes of their lives,” she says. Ezra Shaar, Gil-ad’s grandfather, says he initially heard the awful news on Al-Jazeera. 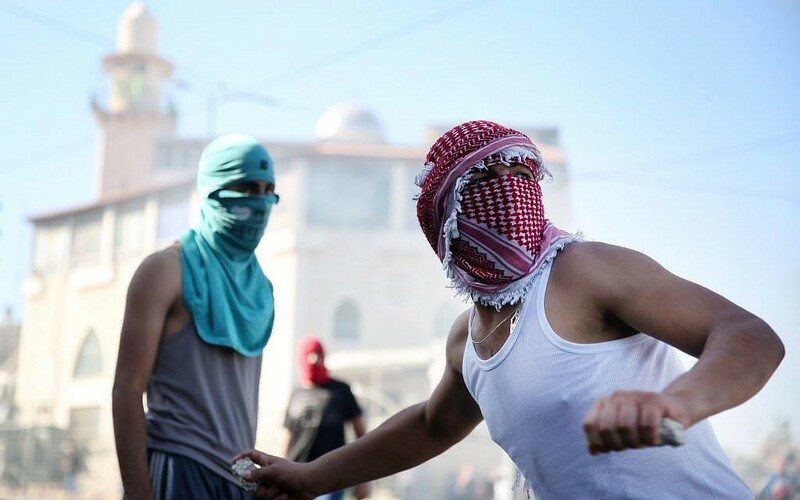 As the rioting over the death of 16-year-old Muhammad Abu Khdeir continues, Palestinian news agency Ma’an reports that over 50 people have been injured so far in ongoing clashes with Israeli security forces. Citing a Red Crescent paramedic, the news agency reports that 37 Palestinians were hit by rubber bullets, and an additional six by shrapnel. Two others are said to have sustained fractures after being assaulted by police. The remaining five were wounded by other means. 17 of the injured Palestinians are said to require hospitalization. Ma’an reports that security forces are firing tear gas, rubber bullets, stun grenades, and live fire at the rioters. Hamas warns that Israel will pay for the kidnapping and killing of a Palestinian teenager in East Jerusalem, which is suspected to be revenge for the murder of three Israeli teens. “We send our message to the Zionist entity and its leaders, which hold direct responsibility (for the murder), that our people will not let this crime pass, nor all the killings and destruction by your settlers,” the Islamist movement says. “The blood of the Palestinians is no less precious than the blood of Jews. We’ve seen no police or army activity to search for the settlers responsible for the murder,” he says, in reference to the massive military manhunt launched following the kidnapping of the three Israeli teenagers. Approximately 100 students are rallying outside the Technion university in Haifa in protest of the deaths of the three Israeli teenagers, the Ynet news website reports. The demonstrators are also denouncing a Facebook status posted by an Israeli-Arab medical student that hailed the killing. “Three goals for Palestine, even though they aren’t playing in the World Cup!” he wrote, immediately following the announcement that the bodies had been located. The student in question is set to face a university hearing. Four projectiles fired from the Gaza Strip slam into the Eshkol region in southern Israel. Nine rockets have targeted southern Israel since midnight. 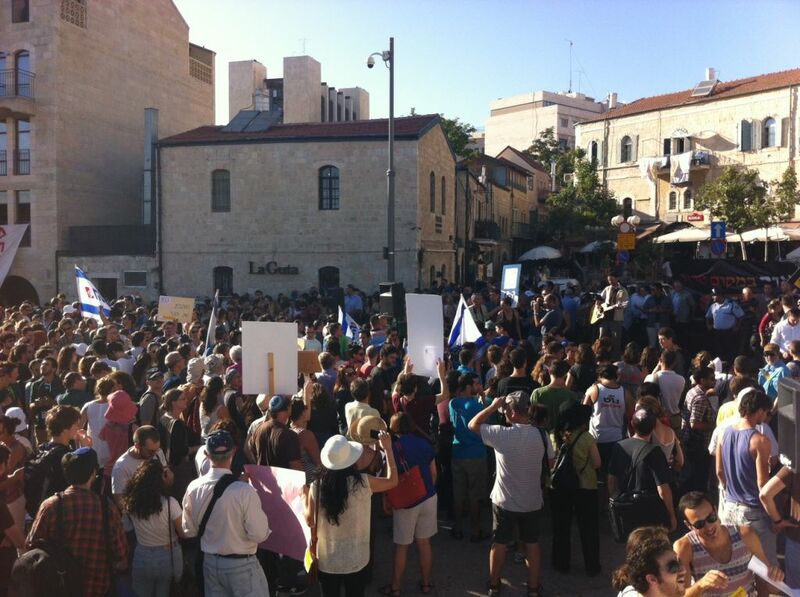 Hundreds of people gather in the center of town in Jerusalem for a pro-tolerance protest, organized by Tag Meir. MKs, including Nitzan Horowitz and Isaac Herzog, are in attendance. The event is “a dam against hatred,” Herzog says. “We will not let the forces of darkness overtake our life,” he adds. Rabbi Benny Lau, a human rights activist, reads Psalms and asks the crowd not to applaud out of respect for the teenagers. “No to Violence! No to Racism! No to Revenge! That is NOT the Jewish way,” the organization posts on its Facebook description of the event. The demonstration comes a day after far-right activists march through the capital calling for revenge and chanting anti-Arab slogans. Three IDF soldiers were spotted sporting stickers in support of slain ultra-nationalist Meir Kahane, during the far-right rally in Jerusalem on Tuesday. In a YouTube clip uploaded yesterday and said to have been filmed earlier that day, the three female cadets are stopped by activists for a picture, clap along with the chants of “Death to the Arabs,” and then walk away. As they continue down the street, the sticker blows off and is not retrieved. Police spokesman Micky Rosenfeld says police are investigating the possibility that the motive behind the abduction and killing of Muhammad Abu Khdeir was criminal or an honor killing, as well as the option that it was nationalistically motivated. Israeli Air Force jets strike Wednesday evening the Gaza site from which four mortars were launched into Israel at 6 p.m.
A direct hit is confirmed, the IDF said. The US denounces “in the strongest possible terms” the “sickening” and “despicable and senseless” abduction and killing of Mohammad Abu Khdeir, Secretary of State John Kerry says in a statement. “Those who undertake acts of vengeance only destabilize an already explosive and emotional situation,” he writes. “There are no words to convey adequately our condolences to the Palestinian people,” he says. The somewhat taken-aback Hebrew media highlight bereaved mother Rachelle Fraenkel’s public recitation of the Mourner’s Kaddish at her son’s funeral yesterday, alongside her husband and eldest son. Traditionally, in Orthodox circles in Israel, the Mourner’s Kaddish is reserved for men. “The murder of the three boys will be engraved deeply in our memory for many reasons. The most obvious of them is connected to security and politics, and perhaps to the social aspects of the saga as well. But the funeral ceremonies also included a seminal moment from a religious perspective, a personal moment with far-reaching public significance,” he writes. “While we await the police investigation into the apparent abduction and possible murder of an Arab teen, we cannot wait to speak out against incendiary calls for violence and revenge by some Israelis,” ADL head Abraham Foxman says in a statement. While “we all feel outrage and heartbreak” over the murder of the three Israel teenagers, “there is no justification for vigilante violence and acts of revenge targeting Arabs. Any loss of life — be it Israeli or Arab — is a tragedy. Vengeance is not a part of Judaism or Jewish tradition,” he writes. The father of Muhammad Abu Khdeir, 16, says that footage from a security camera at a nearby store fully captures the abduction of his son, according to Channel 2. The perpetrators’ faces can clearly be discerned in the video, he says. The red alert sirens sound in Ashkelon as at least two rockets from the Gaza Strip target southern Israel, the Ynet news website reports. The Iron Dome intercepts one projectile, and it remains unclear where the remaining rocket has fallen. An Israeli official tells The Times of Israel that Kerry’s remarks seem premature, considering the US government’s wait-and-see approach regarding the abduction and killing of three Israeli teens. British Prime Minister David Cameron, and Foreign Secretary William Hague say the slaying of the 16-year-old Arab teenager is “appalling.” He also urges Israel and the Palestinians to exercise restraint as tensions rise. In a condemnation of the death of the East Jerusalem teenager, Blair says: “There is no possible justification for such a horrendous act — and the perpetrators must be found swiftly and brought to justice. Prime Minister Benjamin Netanyahu’s security cabinet meets in Tel Aviv for the third consecutive night since the bodies of the three Israeli teenagers are found. The cabinet is said to be weighing a possible expansion of West Bank settlement construction in response to the killing, according to Channel 2. Ministers have been tight-lipped about the meetings, following a leak from Monday’s gathering, The Times of Israel’s diplomatic correspondent Raphael Ahren reports. Rocket sirens ring out across southern Israel as a barrage of at least 8 missiles are shot out of Gaza, according to the military. One rocket was shot down by the Iron Dome anti-missile system, less than an hour after another rocket was intercepted by an anti-missile battery near Ashkelon. Over 20 rockets and mortars have been shot at Israel since this morning. Earlier in the evening, Israeli jets hit a “launching site” in Gaza, the IDF said. After a short recess in hostilities — most probably to break their Ramadan fast with the festive Iftar meal — rioters in the East Jerusalem neighborhood of Shuafat have reignited clashes with Israeli police. A massive volley of fireworks targeted officers a few minutes ago, lighting the sky. The IDF will deal harshly with any soldier who posts a picture of himself or herself calling for revenge against Arabs for the murder of the three Israeli teens, says army spokesman Moti Almoz. Almoz also emphasizes that racist statements and calls for revenge violate the values of the IDF, Israel Radio reports. Justice Minister Tzipi Livni denounces posts on social media calling for revenge against Arabs for the murder of the three Israeli teens. Livni also calls to prosecute those who incite on Facebook. White House press secretary Josh Earnest says the United States “condemns in the strongest possible terms” the death of Abu Khdeir, joining a chorus of other condemnations. 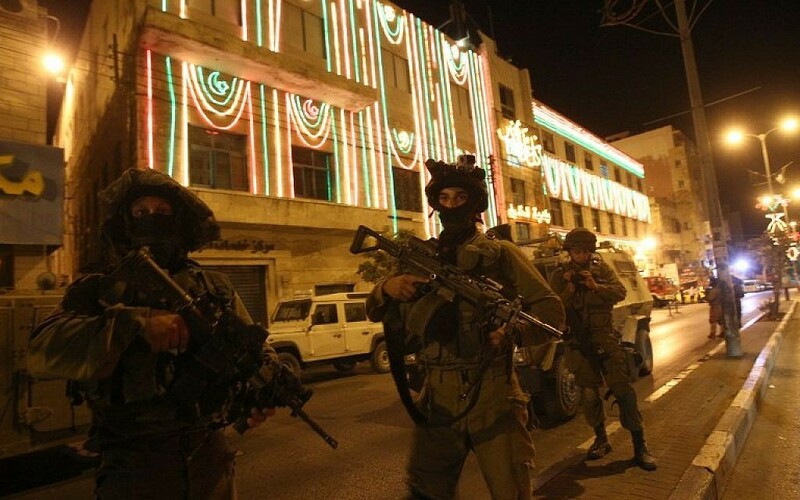 “The minister noted that units in Jerusalem and around the country are being reinforced and asked the public to show restraint and patience at this time in order to allow the investigators to carry out their work,” a statement from the Government Press Office says. “We remind you to be aware of your surroundings at all times, monitor the media, and avoid demonstrations and other crowds as they can turn violent without warning,” it said. The ADL decries the “conspicuously silent” reaction of what it dubs US-based “anti-Israel groups” to the slaying of Naftali Fraenkel, 16; Eyal Yifrach, 19; and Gil-ad Shaar, 16. In a survey of over 25 websites and social media profiles, the organization found that only the Jewish Voice for Peace condemned the incident, but quickly qualified the acknowledgment with six paragraphs on Israel’s uneven response, it said. “Most of the organizations surveyed — including Students for Justice in Palestine, Adalah-NY, American Muslims for Palestine and If Americans Knew — only mentioned the kidnapping in order to condemn Israel’s alleged ‘collective punishment’ operations in the West Bank in an effort to find the boys and their kidnappers,” the ADL says. Ban “calls for the perpetrators of this despicable act to be promptly brought to justice. He expresses his deepest condolences to the family of the victim,” a statement from his spokesperson reads. As the investigation into the murder of Abu Khdeir continues, there are growing indications the killing was nationalistically-motivated, although a criminal motive has not been ruled out, according to Israeli media reports. Sources tell Channel 10 that no Abu Khdeir family members have a criminal record, a fact that raises questions about the suggested honor killing scenario. They maintain that rumors the boy was slain by relatives for his homosexuality have no merit. France’s President Francois Hollande on Wednesday condemns the “heinous” kidnapping and death of a young Palestinian in Jerusalem. We conclude our coverage after a day that saw the killing of 16-year-old Muhammad Abu Khdeir, from East Jerusalem, sparking riots in East Jerusalem and an outpouring of both domestic and international condemnations; ongoing rocket fire emanating from the Gaza Strip and Israeli retaliatory strikes; and continued national grief for the three slain Israeli teenagers: Naftali Fraenkel, 16; Eyal Yifrach, 19; and Gil-ad Shaar, 16. Thank you for joining us here at The Times of Israel.